I got suckered in by @brentrocks and got a spider. 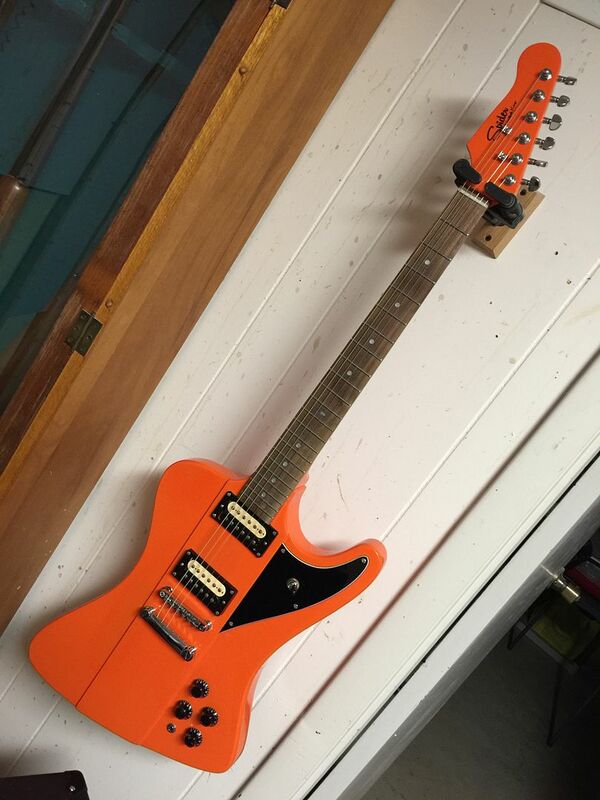 Been wanting a cheap firebirdish guitar. Nice case too. Satin finish, chunky neck, pups could use an upgrade. I have a JB I’ll be throwing in. Did yours setup super nice? I upgraded mine with new pots n caps and a set of vintage Shaw Dirtyfingers. It sounds awesome!! !